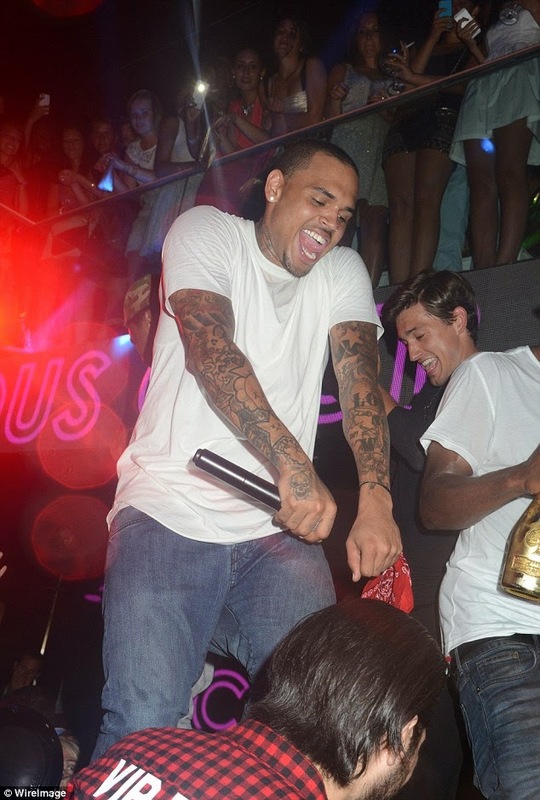 He's been living it up on the French Riviera since his girlfriend Karrueche Tran reportedly broke up with him. 'I been through a lot in my life. Made a lot of mistakes along the way,' he wrote. 'But through it all I've always been true to myself and through God I've been able to take care of my family! Afterwards, the Loyal singer shared two videos of himself singing along to D'Angelo's hit song Untitled (How Does It Feel). 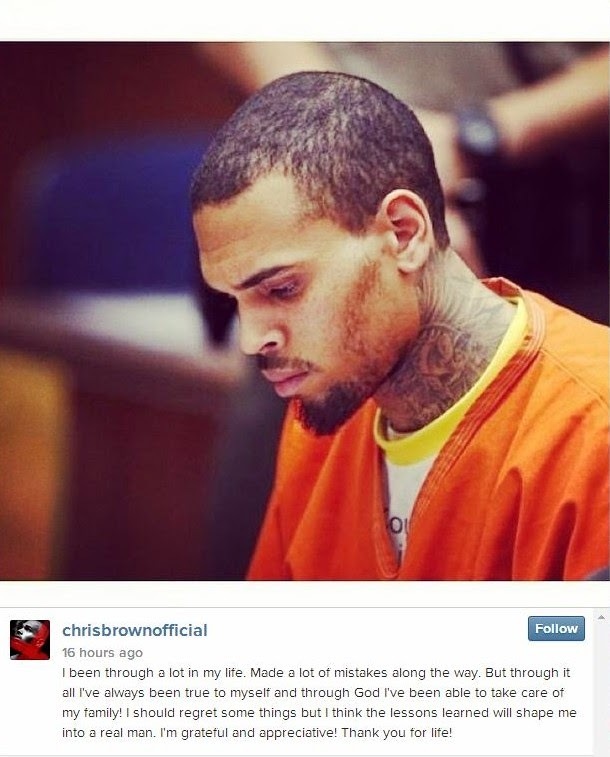 It is unclear if he was trying to send a message to Karrueche - or even possibly to former flame Rihanna. Karreuche has reportedly ended their romance after growing sick of his wild ways, according to TMZ. 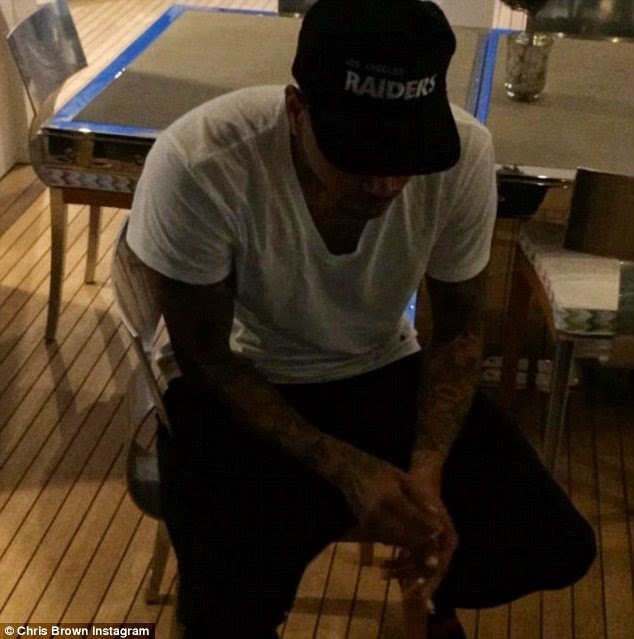 The website reported that the 26-year-old beauty was left furious after the R&B bad boy 'liked' two images of him and Rihanna on Instagram. She is also said to be tired of his 'immature' behaviour and his desire to party nonstop since his release from prison in June. Karrueche is reportedly so serious about their latest split that she has changed her number so he can't contact her. Meanwhile it was recently revealed that plans to premiere Chris' new song with formal rival Drake at OVO Fest in Toronto on Monday have been cancelled since Brown cannot legally enter Canada due to his criminal record. The collaboration reportedly has veiled references to Rihanna.